Bill has a depth of feeling and intelligence, and an awakened “wild soul” with which I deeply resonate. But what I especially appreciate about him is that even though he has been powerfully embodying his soul’s purpose for decades, he’s still able to open up into “beginner’s mind” and thus stand humbled and astonished in the face of the Mystery. This is where Bill and I meet, and why we were able to go deep into the big questions of our time in an intimate and mutually co-creative spirit even though our work is associated with very different theories of human consciousness. Before Sunday’s dialog, we’d identified a list of questions that we wanted to explore including What is emerging today at the leading edge of human transformation? Has humanity gone terribly wrong? and Is our current crisis precisely the sort to be expected on any planet on which a species evolves into conscious self-awareness? Bill began by describing his 3 Worlds model of human development, which he says reflects a view that can be found in indigenous cultures all over the world. The Upper World is oriented toward transcendent awakening, Consciousness, Spirit, the One, the Divine, including the highest Non-Dual teachings and realizations. The Middle World is the everyday world of work and school and family, money and power, growing and preparing food, entertainment and socializing. It is the only world many people ever know. The Under World is the mytho-poetic realm of the soul, the sacred dark world of dreams and visions where we discover our unique gifts and purpose, and it’s where Bill says the big opportunities for humanity lie. For Bill, the ecological and the soulful are the same thing. Our soul life is the interior expression of our place in the exterior natural world. And part of the Under World process is letting go of who or what we think we are, something that is most often bypassed in our culture, and which if it is to occur, requires a crisis. In other cultures and past eras, soul initiation was a part of life, but now less than 10% of people in Western cultures reach the stage he calls “soul initiation”. The planetary crisis and suffering caused by human beings’ unsustainable ways of life can be understood as an Under World initiatory event for our entire species. Who we thought we were as human beings in the Middle World must “die” so that we can begin to understand ourselves anew—in an Upper World AND an Under World sense. That is the “inner work” transformation Bill thinks we’re experiencing now And there is no knowing which way we will go. As I took all this in, I told Bill that I’m not persuaded that it’s helpful to view our crisis in negative terms. Any intelligent, self-aware species, evolving on any planet, would almost inevitably over-succeed, overpopulate, overcompete and begin to squeeze out other life forms, threatening its own survival, requiring a new ecological awareness. So I am inclined to regard our crisis and initiation as a natural process, one that creates an opportunity for something truly new and inspiring. Yes, there is certainly terrible loss and suffering on a horrific scale, and it stirs deep grieving in me. But at the same time, I am aware that there is a healthy way of being oriented to this evolutionary journey, a way to say “yes” to the challenge, a way to discover in it a source of energy and inspiration and creativity. If it is truly initiatory, it is a way of bringing forth what is best in us. Bill agreed, but emphasized grieving as a key doorway to our developmental processes, our rites of passage. “What’s waiting at the door of our hearts and bellies is grief.” And we tend to think of it as personal grief, but there’s all kinds of transpersonal grief that comes through us, including losses of our ancestors and the losses that the earth is experiencing. We try to keep the door shut but once we open it, an extraordinary awaking process begins, in which grief leads to Aliveness. We become more authentic; we move to help others to wake up; we do what we can to do the work Joanna Macy calls “The Great Turning” and attempt to save as much life as possible on this planet. Even though Bill and I had each found our way to “here” using different maps (a difference I pointed out and acknowledged), I invited him, and he graciously agreed, to consider the idea that even though our maps can illuminate aspects of our experience and consciousness and even catalyze awakening, it’s best to hold them lightly, or they will tend to rigidify our view. Even the map to the Under World that Bill emphasized as key to our species’ soul opportunity, is one that we do well to let go of even as we arrive at the destination to which it takes us. For this is a journey no other soul has ever walked. You can listen to the entirety of this tender and deep dialog, including Bill’s description of his model of the Developmental Wheel and what he calls Eco-awakening here. I have done some programs with Animas Valley Institute. In the past I have been a workshop junkie and nothing has changed my life so much as working/playing with Bill and those he has trained to facilitate. I was all about spirit and the upper world but I could not discover my gift that I could bring back to my people until I went to the underworld. This is the mythological meaning of the crucifixion and resurrection that so many cultures have. In my opinion there is no substitute for this work. I believe real transformation involves going to the underworld and then emerging. No other journey gave me the courage to eventually quit my job, change my life and do what is meaningful to me. I am no longer believer in these divisions of states. Can it be that not only are we doing what evolution brings forth, but there is a basic intelligence we collectively share that is carrying us forward. B Hubbard perceived, 20 yrs ago, that we are and now have developed a global nervous system and can no begin to function as collective mind, it is not hard to see that we are a few steps away from realizing that what is really wrong with us has been our response to material insecurity, not some mysterious dark side or something lacking in us. If this may be so, our work is to help each other realize that we have the existing means we have created to make more of everything than anyone one the planet needs, thereby providing a beginning of a real change in who we are. All advances in our self image have come when we ere individually secure, only that was often at other expense. We now have more factories and land setting unused than there are people to consume what they could produce, it is still our lack of realization that the zero sum game is running out of resources to accumulate. We have no create new real wealth on this planet is 20 yrs, but that is the real task of our next evolution. If we all bet on enlightenment to save us, we really are doomed. I am thinking you are discussing the same experience with a few different words and a slightly different focus. More the same than different…and I did not hear any real “negative” in your guest. He is speaking to working in our lives as the journey is presented to us. Thank you both. Terry and Bill, I am so happy that you had this conversation, and deeply grateful to you both. 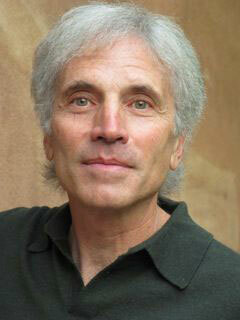 My involvement with “integral” since 1996 and with Bill’s nature-based soul work since 1998 continue to serve me. This dialogue is a joyful one for me to listen in on. Wild Love to each of you and everyone you touch!